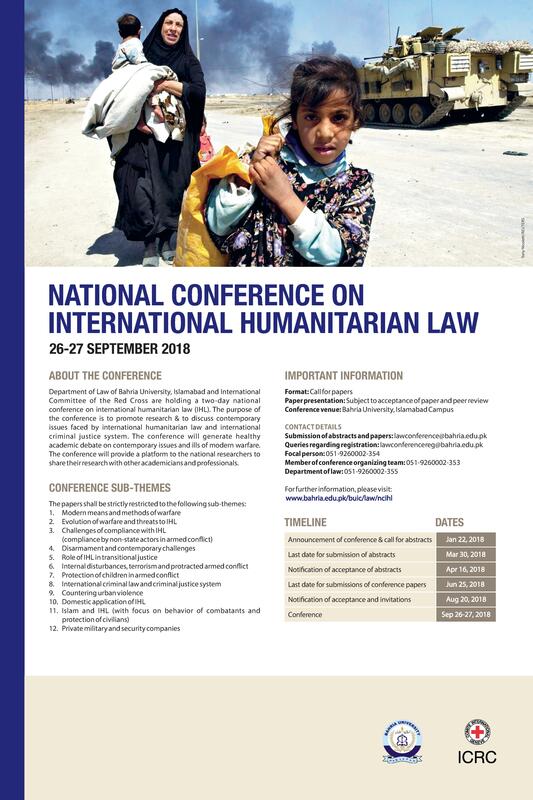 The International Committee of Red Cross (ICRC) and Department of Law, Bahria University, Islamabad are pleased to announce a call for papers for the first National Conference on International Humanitarian Law, to be held on 26th-27th of September 2018. We currently seek submission of abstracts within any of the sub-themes by 30th of March 2018. Following acceptance of abstracts, authors will be notified and invited to submit complete papers for peer review. Papers shall then be selected for presentation at the conference as well as publication.